Augustine is a classic Parisian bistro that restaurateur Keith McNally opened in November of 2016. 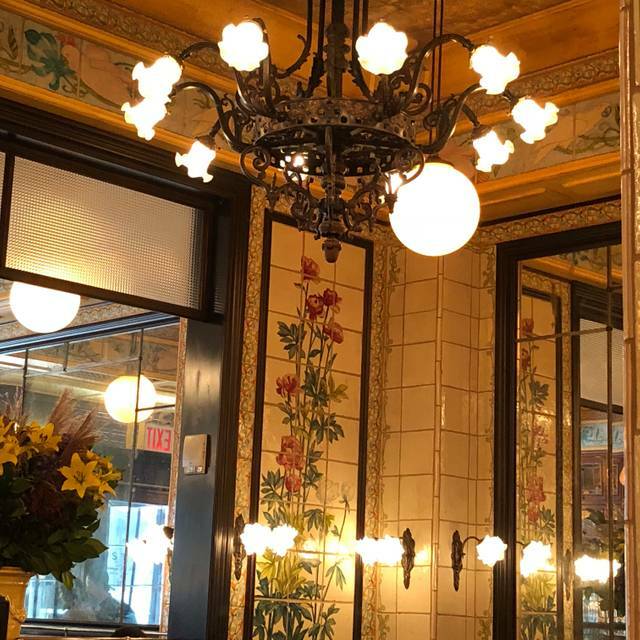 The restaurant, in the heart of downtown Manhattan, serves a variety of French classics including steak frites and filet mignon au poivre as well as tuna nicoise and sea urchin spaghettini inside an inviting, casually elegant dining room. It is open for breakfast, lunch, and dinner during the week, and brunch and dinner on the weekends. We love food; stuff attention was excellent. We will come back soon. They did not have my reservation so you should check your system interface with their reservation system as they said it happens a lot. Although we enjoyed Augustine, and would return, we felt very rushed by the wait staff. There was no time between drinks, appetizer, and entree. We don’t get out much and would prefer to have time to eat and enjoy the dining experience. I've never been disappointed when I dine at Augustine. Our server Kristen was absolutely outstanding, welcoming, and unbelievably kind. We went for brunch on Sunday, at 10:30am, during the week of spring break. Amazing food, recommend Red Sunrise fresh pressed juice, beignets, omelette du jour, and eggs cardinal. Delicious food, just a bit expensive, but I would say that it’s 100% worth it. The staff was also very friendly and the decor is outstanding. The staff were pleasant and so hospitable. The interior made us feel like we were in another country! The food was incredible and we definitely will recommend to our friends! I would have a certain level of quality in service because it is August! The foods order in 12:20 and came out at 13:15. The server never apologies. End of stories. One of the best places in NYC for ambiance. My favorite breakfast spot in NYC. Makes me feel like I am having a meal in a Paris bistro. Delightful brunch menu. Bon appetit! Lunch at Augustine was lovely. A colleague and I were celebrating her recent retirement and I'm so grateful to the wonderful wait person who went out of her way to make my colleague feel special. I highly recommend Augustine not only for its terrific food and beautiful atmosphere but also for its friendly, professional and caring staff. Excellent choice in Fidi area. Warm low-key environment. Nice menu options. Staff friendly and helpful. Great hotel bar next door. Took two hours for our meal to arrive. restaurant was reviewed in NYT as a great French restaurant. I invited my guests who are french food fans. Only problem. The restaurant, without telling anyone, is no longer french. Its Austrian. I guess the famous chef left and they got someone new. Food is now mediocre and over-priced. Service is brusque. When I asked the waiter about the change, he would not admit that the restaurant had changed. only go if you want austrian food and don't care about over-paying. Beautiful decor and fantastic staff. The menu had a nice variation and the food was delicious. Our experience was outstanding... from the service to the food to the ambiance. And on a cold February night it was deliciously warm inside. The roasted carrots with goat cheese appetizer is a must! Great experience with my group of colleagues dining and having a nice evening. Augustine never disappoints. Had the foie gras and beet salad to start, duck for main - truly satisfying. The French bistro scene adds to the experience . We came here to celebrate a friend’s birthday for a brunch. Everything was super delicious sealed with a kindness of our service person. Quintessential New York brunch or dinner. The food is outstanding, the decor is beautiful and you could spend all evening here. 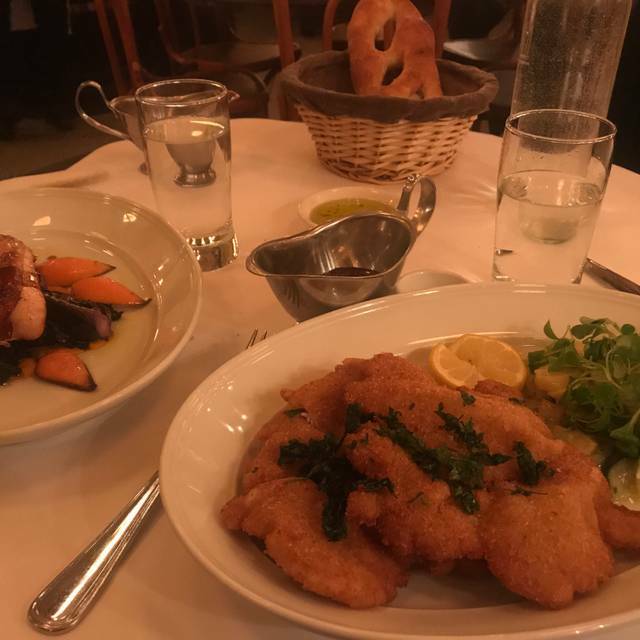 Don’t miss the Schnitzel, Gulasch or Foie Gras. One of our favorite restaurants. Excellent breakfast and good service in traditional surroundings. Absolutely lovely restaurant with friendly courteous staff and delicious food. Delicious food, gorgeous setting, and some of the nicest and funniest servers around. I can’t wait to come back! Wonderful food, attentive staff, great location. We came for brunch and will look forward to returning to Augustine for dinner! wonderful ambiance in this intimate restaurant next to the Beekman Hotel in the financial district. Our servers were gracious and professional. We would definitely come back and try other offerings on the menu. Great service and room. Food depends what you order. The burger and sandwiches were great. The lobster risotto not bad but but so special. Same for dessert we tried - some really good, some not as. Happy to frequent. Charming, perfect for meal with parents, exceptional food and service. 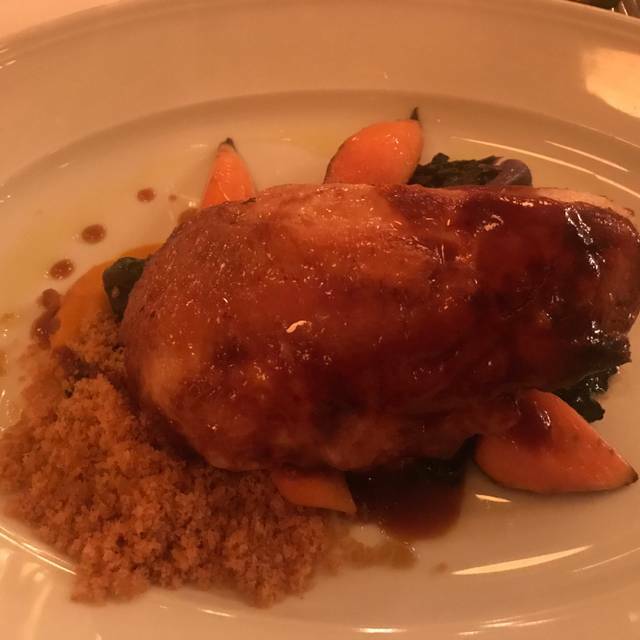 Very similar to Balthazar in terms of food, atmosphere, service, but the tables aren’t crowded, so it’s less busy/less bustling, and a little more elegant. 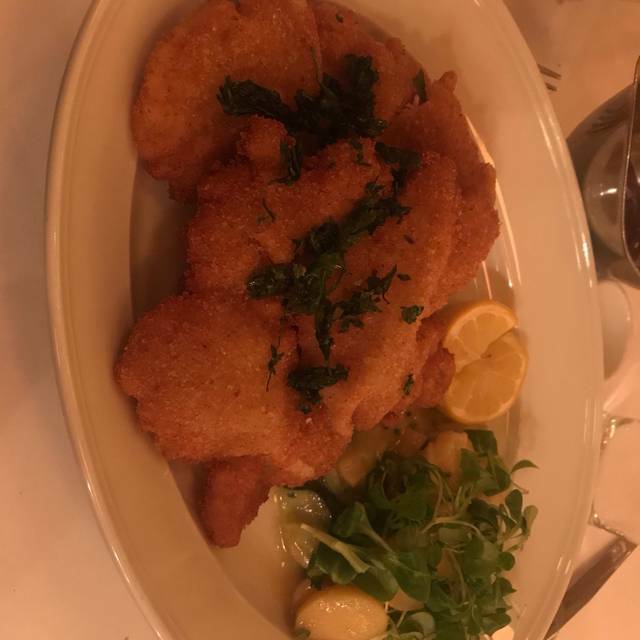 Schnitzel was over breaded and fell off veal...asked for duck medium, was rare. Whoever our waitress was is the nicest lady in the world. She gave us every recommendation on the menu and even treated us to some cookies at the end. I would recommend this to anyone and everyone who wants to take out a nice girl to an awesome spot. 8.5 out of 10 on the Testorf scale and that's not easy to scale. Outstanding experience! Wonderful ambience and every course was excellent. Even after reading glowing reviews I didn't expect the steak to be so outstanding but it was! At the waiter's suggestion we ordered entrees split and the results was great shared experiences. Truthfully, we may have over lingered at our table to enjoy dessert and coffee, but never felt rushed by staff. A glorious evening I would heartily recommend to others. Wonderful as usual. I took my sister for her birthday and we had a grand time. The Four Gras Terrine is great! All our entrees were great too, the steak, lobster and goulash. Dessert was even better! Our server was very serious but did the job right. The busboys were efficient and fast. Thanks for remembering my request to have a candle blowing. That was very sweet.